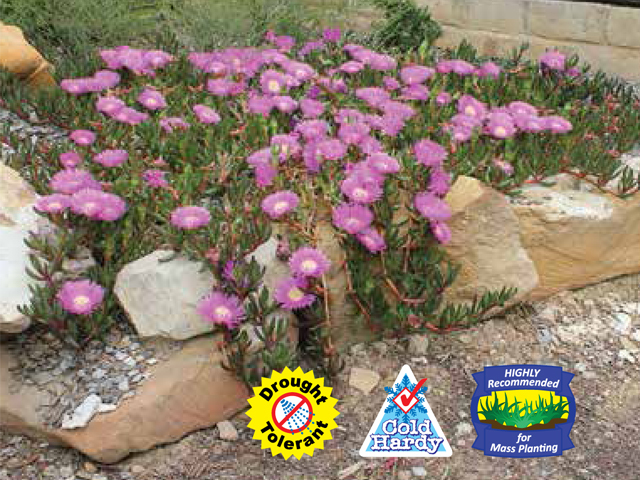 Commonly called Pigface, this native variety is more tolerant of drought, humidity, frost and salt. • Aussie Rambler™ Carpobrotus is a prostate creeping succulent that has long trailing stems up to 2 metres long. • This native Carpobrotus produces large, deep pink flowers in spring and autumn that can reach 14cm in diameter! The average size is 10cm in diameter. 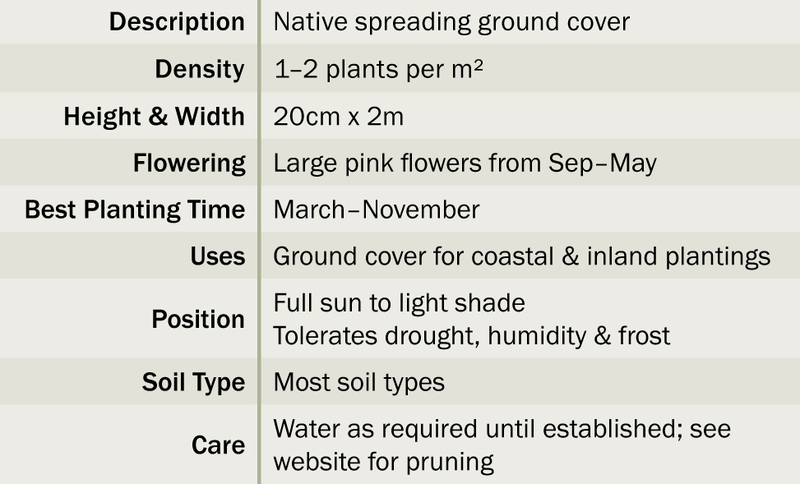 • Great for rockeries, general mass plantings, as a sand dune stabliser, for low maintenance gardens and inland and coastal positions. • Better than the common form—handles heavier soils, tolerates more moisture, has much bigger flowers and more purple stems. 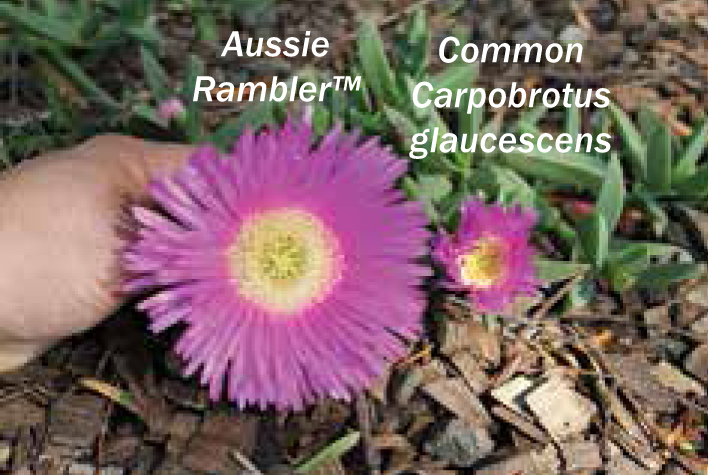 • Aussie Rambler™ Carpobrotus can tolerate moisture, but it is best to avoid wet feet.